Why we need Soccer Across America programs in South Texas? Soccer is the fastest growing sport in the United States. It has reached into communities from coast to coast and from north to south. Yet, soccer has not always served inner city or rural communities nor has it reached all economic and ethnic groups. 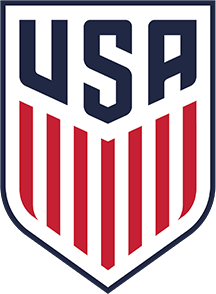 In order to ensure that every child has the opportunity to play our beautiful game, US Youth Soccer founded the Soccer Across America program. Through a cooperative effort by US Youth Soccer, South Texas Youth Soccer, and local organizations, Soccer Across America builds programs that uniquely fill the needs of the community and children involved. Soccer provides the tool to increase the children’s self-esteem, provide positive role models, and build social and life skills. Each program starts differently and is created locally to meet the needs and capabilities of the organization and of the players. Programs may last as little as a few weeks in the fall to as much as full seasons in more than one part of the year. Many programs adopt traditional soccer rules with full-sized fields and full length games while others choose to introduce soccer through "small-sided games" on smaller fields. The choices about how to begin are as varied as the places in which they begin. The Soccer Across America program can help your community decide on how to get started by providing additional resources, information and hands-on assistance. Many Soccer Across America programs are run locally by existing clubs and leagues, school districts, churches, Boys and Girls clubs, YMCAs, or neighborhood Parks and Recreation departments. There is no "one size fits all" model for Soccer Across America. If you are looking to use soccer as a vehicle for change, the Soccer Across America program helps you make a difference in your community. In order to promote your local Soccer Across America program, certain equipment, services and financial support will be needed. The South Texas Youth Soccer Association can assist your program in creating awareness and finding support for these efforts. The first step is to complete the South Texas Soccer Across America program application. This will begin the conversation with US Youth Soccer and STYSA and allow us to come up with an action plan. Once we are aware of your needs, we will be able to provide you with targeted support for your program. To download the STYSA Soccer Across America application please click HERE. If you have any questions about the application please see our contact information at the bottom of this page. Seek out other Soccer Across America programs near you and try to learn what worked for them. Often, local sites in the same state have a lot in common. The STYSA office will provide you with a contact list of other programs in South Texas. Ask for help from local soccer organizations and STYSA. These organizations can help you: set up basic organizational structures from legal formation to functions needed on your start-up Board of Directors; find coaches, especially youth coaches; set up equipment exchanges; help with scheduling questions and registration. Identify all the adult administrative functions you will need and develop a volunteer base, as necessary, to fill those functions. Seek community leadership support first from existing soccer organizations and programs, but also from: Boys and Girls Clubs; Neighborhood Centers; Police Athletic Leagues; YMCA/YWCA; Housing Authorities; Park and Recreation Departments; High School and College Service Organizations; Churches. Plan for coaching education. The STYSA staff will assist you in this area and can help provide low-cost coaching education classes for your program. Identify your equipment and supply needs and look for sources to get them donated or to acquire them at the lowest cost to you. Ask existing organizations where they get there equipment and see if you can set up a way to acquire used equipment from them.